During our 4-day stay at Palawan we were spoiled with Aloha Palawan merchandise by Laag PH, a clothing brand that specializes in unique souvenirs that showcase the festive cultures down south. ‘Laag’ is a Bisaya word that translates to ‘pasyal’ or travel in Tagalog. 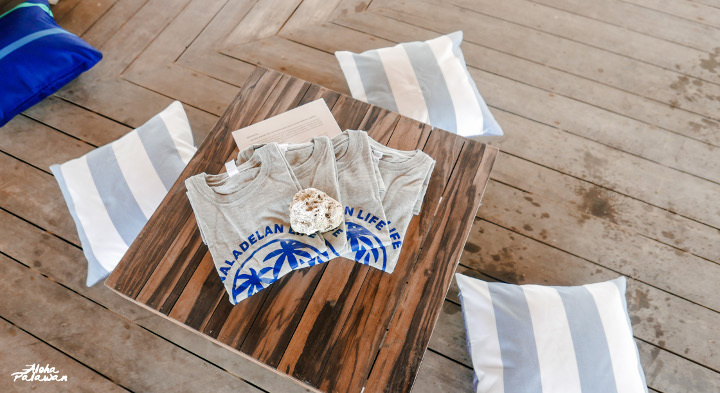 Their shirts are fit for everyday wear, a travel OOTD or a souvenir; they also produce tote bags and string bags for people who are always on the go.